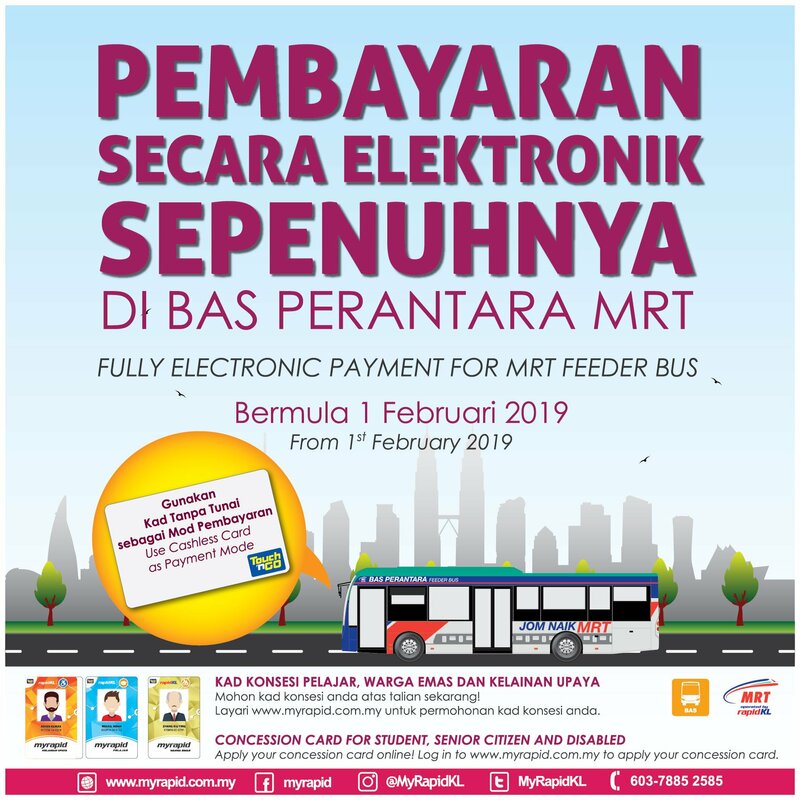 Starting from 1 Feb 2019, the MRT feeder bus is no longer accepting cash payment for the ticket. 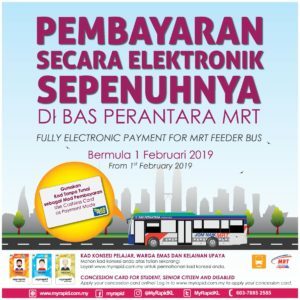 Must either use Touch N Go or other concession card i.eMy100 or My50. Yesterday, I just have to disembark the bus from MRT Sg Buloh to Damansara Damai and wait for the next bus. 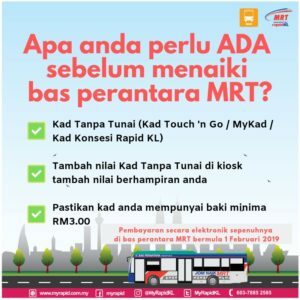 Because I normally paid RM 1.00 cash upon boarding the bus. So I didn’t prepare either Touch N Go or have My100 activated on my I/C. The touch N Go topup service fee is RM 0.50 , which is available at the level 1, in Sg Buloh MRT station. so, I just reload my Touch N Go card and wait for the next bus. here is the announcement from the RapidKL. in case you also missed it . Finally, arrived home after 4 hours..